Apple has announced that it is set to release new high-tech products during the third quarter of 2014. 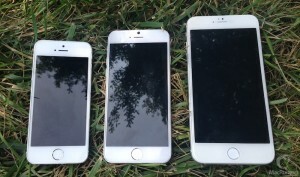 One of them is the new iPhone 6 which is reported to have two models in different sizes, 4.7 inches and 5.5 inches. It will have resolutions of 1334×750 (326ppi) and 1920 x 1080 (401 ppi). Both models will include an A8 processor, 1GB of RAM, LTPS display panels, optical image stabilization, and Touch ID. 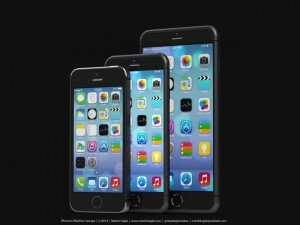 Shipments of the 4.7 inch model are expected in September and the 5.5 inch model is expected later. iOS 8 is also set to be released this autumn. It is similar to iOS 7 but with some new features including new apps, a new messaging and system and keyboard, a smarter design, Family Sharing, iCloud Drive, a Health app and much more. Siri is also reported to be even more intelligent, being it will be able to automatically identify songs when they are played. Along with iPhones, the iPad Air 2 is expected to be released with Touch ID, an A8 processor, and an improved camera with a resolution of eight megapixels. Apple is also preparing to release a new version of the iPad with a nearly 13 inch screen and an iPad Mini with Retina Display. The new iWatch is reported to ship during the end of the third quarter and will be available in two sizes, 1.3 inch and 1.5 inch with flexible AMOLED display. It will be able to tell time, receive phone notifications, and it will be able to track and measure your health. New iMacs are also rumored to be making an appearance this year. A 12 inch Macbook Air is believed to be slimmer and also have a touchpad without buttons. It is also expected to include a higher-resolution display and to function without a fan. A lower priced iMac is expected to make an appearance earlier in the year, which could possibly boost iMac shipments 23 percent. Finally, Apple is reportedly trying to worth with cable providers to get live video on Apple TVs and to have motion control technology.